WINNER - Feature Screenplay category: “The Red Panther,” by Bryant Hasheider. Bringing Southern Hospitality to the Best in Independent Film! The George Lindsey UNA Film Festival is hosted each year by the University of North Alabama in Florence, one of the four cities comprising the culturally rich Shoals. The Shoals is an entertainment Mecca with long roots, which reach to the heart of rock and roll, southern rock, and the blues. It is the birthplace of “America’s First Lady of Courage” (Helen Keller), "The Father of the Blues" (W.C. Handy), and the legendary “Father of Rock and Roll” (Sam Phillips), who first recorded the likes of Elvis Presley, Johnny Cash, Roy Orbison, Carl Perkins, Jerry Lee Lewis, and the list goes on. The Shoals area has always been known for its creative spirit and energy. It is now building on its rich musical heritage by devoting many of its resources toward enhancing its emerging film industry. Since 1998, The Lindsey Film Festival has contributed to that effort through the exhibition of independent films from across the world and the appearances of many special guests, including Oscar winners Billy Bob Thornton and Ernest Borgnine; "Sling Blade" co-stars Lucas Black and Natalie Canerday; character actors Rance Howard (“Cool Hand Luke”) and Stephen Root ("O Brother, Where Art Thou? "); renowned film critic and Florence native Jonathan Rosenbaum; makeup-effects artist Robert Hall (“Angel” and "Buffy the Vampire Slayer"), actors Michael Rooker (“The Walking Dead,” “Henry: Portrait of a Serial Killer), James Tolkan ("Back to the Future" and "Top Gun"), Lee Majors (“The Six Million Dollar Man”) and Cedric Pendleton (“The Shield"); Music Supervisors Dave Jordan, Julianne Jordan, Thomas Golubic, and Andrea von Foerster, screenwriter and producer Bob Gale; radio personality Mark Thompson (of "Mark & Brian" fame), and many more. As a competitive film festival, we welcome local, national, and international entries. First place winners in each category receive a substantial prize. A special award, gifted in memory of George Lindsey’s dear childhood friend, Clyde “Sappo” Black, is given to the best film made in Alabama. Past winners have included Shane Acker's Oscar nominated "9," Steve Guttenberg's "P.S. Your Cat is Dead," Robert Hall's "Lightening Bug" and the Kathryn Tucker Windham documentary "Kathryn: A Story of a Teller." The George Lindsey UNA Film Festival was founded by celebrated entertainer George Lindsey, along with now deceased Communications professor Bobby Hurt and now retired Director of University Relations Bill Jarnigan, George Lindsey is well known for his role of Goober Pyle on the "Andy Griffith Show" and many other credits in television, including episodes of “Hee Haw,” “The Twilight Zone," "The Alfred Hitchcock Hour," "Gunsmoke," "M*A*S*H," and as the host of Turner South's Emmy award-winning "Liars & Legends." We encourage you to submit your film and come experience southern hospitality at its finest! Congratulations to the winners at the 2017 George Lindsey UNA Film Festival! In honor of the festival's 20th Anniversary, the annual Awards Show and Party will be free! The show is Saturday, March 4, 6:30pm, at The Mane Room. To reserve your free ticket, email lindseyfilmfest@una.edu. And don't forget the annual Kick-Off party, 6pm, Thursday, March 2, 116 Mobile, Florence. The 2017 George Lindsey UNA Film Festival will host actors Michael O’Neil and Grant Goodeve in two Q&As. O’Neill will speak to audiences at 7pm on Friday, March 3, in the George Lindsey Theatre on the UNA campus. Goodeve’s Q&A will take place at 2pm on Saturday, March 4, in room 124 of the UNA Communications Building. Both will be free and open to the public. 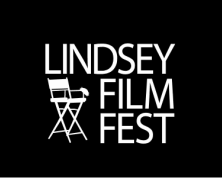 For more information, including the full festival schedule, visit lindseyfilmfest.com. The 2017 UNA George Lindsey Film Festival has received its largest number of Alabama films submissions. This year, the festival received 36 Alabama films, and in honor of its 20th anniversary, will screen all of them. Three of the 36 are also category finalists in festival competition. “The Breaks: Centuries and Struggles” and “Waste Not Want Not” are finalists in the Professional Documentary category, which is open to filmmakers who are no longer in school. “The Fall” is part of the Vanguard category, which is optional for films that don’t necessarily fit in other festival categories. All the films will be eligible to compete for the $2,000 Clyde “Sappo” Black Sweet Home Alabama Award. Black was a longtime friend of festival creator George Lindsey; the award is sponsored by the Clyde Black family in honor of his memory. For more information on the finalists, visit lindseyfilmfest.com. To reach officials directly, contact lindseyfilmfest@una.edu or call 256-765-4592. The Lindsey Film Festival is pleased to announce this year's winners! 2014 winning filmmakers and screenwriters - acceptance speeches and comments - check out our new page. Prof Documentary - "The Man Left Behind"
Student Narrative - "East of Kensington"
Student Documentary - "Ditching School to Whistle"
Young Filmmaker - "Writing the Big One"
Feature Screenplay - "A Second Last Breath"
Short Screenplay - "More than Life"
Best of Fest - "East of Kensington"
Clyde "Sappo" Black Sweet Home Alabama Award - "Mt. Pleasant"
If you were unable to attend this year's George Lindsey UNA Film Festival, you missed out on lots of great film and other fun events. Here are a few of the highlights; to see more, visit the UNA photo page.